Did you hear of private blog networks? If answered yes, do you know what PBNs are and how they’re used? A Private Blog network is a type of network of blogs or websites which are used for building links for a single site for the reason of manoeuvring search engine rankings. The entire process is something similar to link pyramid or link wheel because it involves different sites inter-linking to each other via a central website. Although such schemes were commonly used yeas back, PBNs presently are deemed to be a black hat SEO technique which needs to be averted at any cost. This can have an upshot like reduction in rankings and also manual penalty. They provide neither little nor long-run impact for the websites to which they are linked. The ultimate secret to recognizing a private blog network is inter-site footprint on which technical data are similar to each other. Previously PBN networks had to be on similar IP and shared servers which had identical WHOIS information or similar content through sites. Nowadays PBNs are sophisticated and it can be tougher for the users to identify such sites. 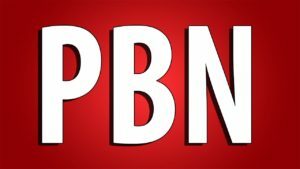 So, if you want to determine whether or not a blog is a part of PBN, here is what you should consider. Hosting: Are all the sites on similar IP? You may use tools like SpyOnWeb.com to recognize such sites which are hosted along with other sites. Similar themes: Do all the sites share similar themes? Do they have similar navigation and color schemes? You can take a close look at the source code that is there in the browser. Site design: Do the sites use a similar navigation, design and theme? Site ownership: Check WHOIS information details for the contact details about the website owner. If you find that the WHOIS information is hidden, this is definitely a thing to be cautious about. In case the owners of the site are all similar, the websites are bound to be connected. Backlink profile: You should then take a look at the profile of backlinks in Majestic or Ahrefs as they are touted to be the biggest database of links. This way you can check the way in which interlinking is taking place between the websites. Copied content: Copy a paragraph from the post and place it on Google search to check whether the content exists in other websites. Videos and images: Since images and videos are tough to recreate, they will most likely be copied on other websites. Use Google video or image search to find out similar pieces. Not a single SEO consultant should ever tell you that private blog networks are good for increasing web traffic or link building. However, it is sad to note that your website will unknowingly involve in a PBN not knowing it, particularly when you’re outsourcing your link activities to another company. Purchasing links on websites like Fiverr might put your website in a dilemma. Inform yourself on the practices which Google considers as link schemes and make sure whether anyone who is responsible for link building on your website is abiding by the guidelines. Any noteworthy and famous link builder needs to agree about being transparent about links which they are looking for. You will require giving in some effort but you will be held for all consequences if you don’t do it properly. Therefore, you can save your company from the hassles of losing money, time and resources and focus more on link building techniques which can get you good results.